More videos are coming soon. 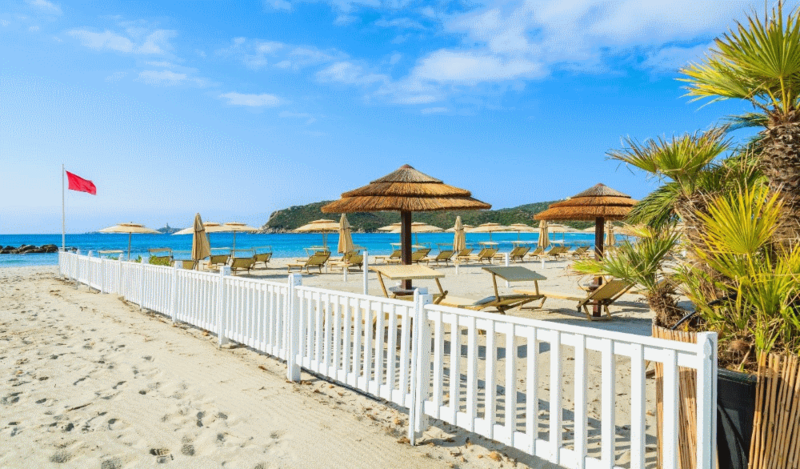 Sardinia is an extraordinary island in the Mediterranean Sea between Italy and Spain. Residents and visitors have been feeling and experiencing the energy of the landscape, its vegetation and wildlife for thousands of years. 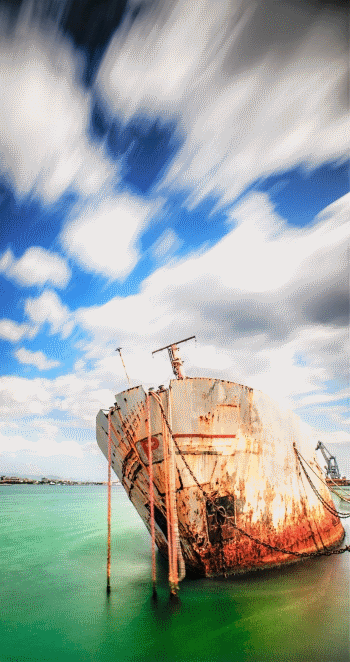 Sardinia is therefore also the creative source for artists like Stefano Sanna. The island in the Mediterranean Sea, which belongs to Italy, is about an hour’s flight from Rome or Milan. It can be reached by ferry from many Mediterranean ports and, of 7course, by plane. The airports in Olbia, Alghero and Cagliari are the destination for many international flights, especially during the summer months. The second largest island in the Mediterranean Sea after Sicily is about 330 km long in the north-south direction and the distance from the east to the west coast is about 190 km. 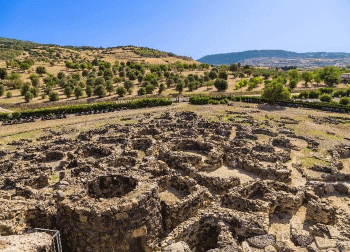 The history of Sardinia can be traced back to 8000 BC. Archaeological findings from the Palaeolithic period provide information about Mediterranean life in the times of origin. The first surviving buildings, the so-called Nuraghs, are attributed to the period between 1400 – 1200 BC. Many of these natural stone ruins give a glimpse of the skills of working with local materials at that time. Entire villages have also been uncovered by archaeologists inside the island. The island also has an eventful ancient and modern history because it was the target of many conquerors. There are times when Mycenaean, Cypriot, Phoenician. Punier and the inhabitants of Carthage ruled the island. It was only in modern times that Sardinia became a province of the state of Italy, even though there were and still are aspirations for independence from Italy. 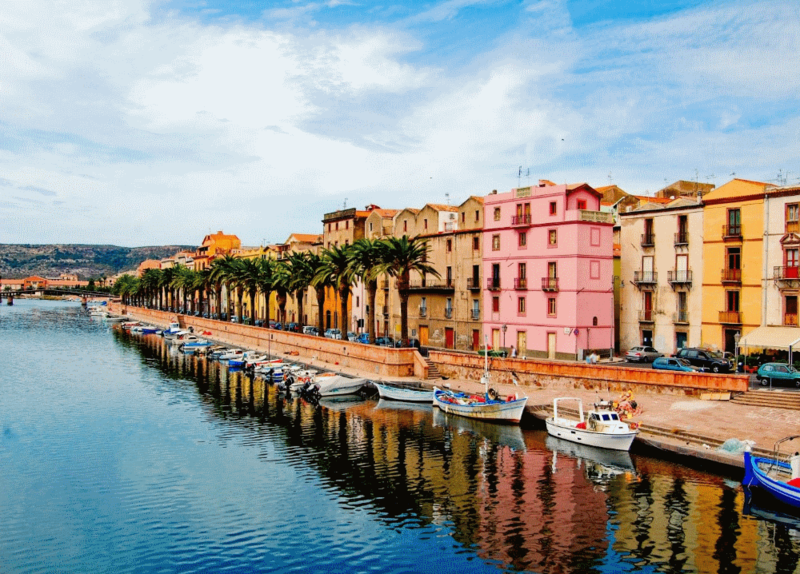 Sardinia reflects the entire cultural history of southern Europe and North Africa. Many churches built between 1200 and 1500 AD, for example, reveal Roman, North African / Arabic and French influences. An example of this is the Santissima Trinita Sarccagia Logudoro, a landmark for the northern part of the island. 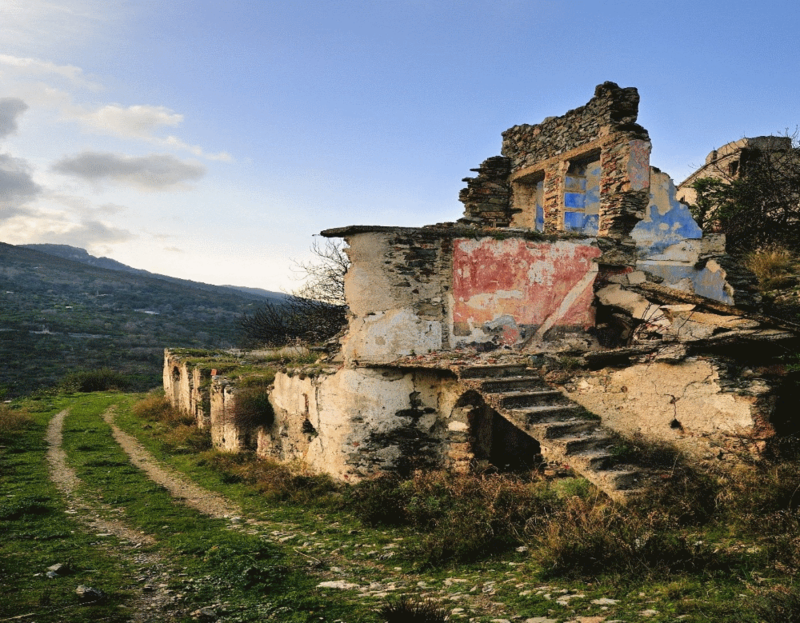 Even in modern times, art and culture mean a lot to the Sardinians. One example of this is the Nuoro Art Museum in Central Sardinia. It hosts art exhibitions at a high international level, such as exhibitions on Giacometti, Paul Klee and other important classical modernist artists. The cultural atmosphere has also brought many artists to the north of the island. 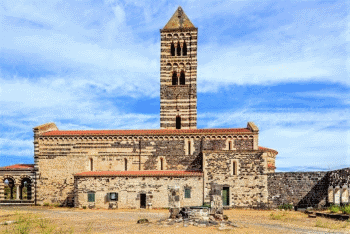 One example is the small town of San Pantaleo between Olbia and Arzachena. The landscapes in Sardinia are much more varied than those of the other Mediterranean islands. The highest mountain is 1,800 m high and is located in the centre of the island. The most famous mountain in the north of Sardinia, Monte Limbara, with an altitude of 1,400 m, is an impressive nature reserve and offers hikers from all over the world very varied flora and fauna. There are very different landscapes between the coast and the mountainous areas in the interior of the island. The gentle hills are partly reminiscent of Tuscany. In other regions the character is shaped by a variety of rock formations. The rock formations are particularly typical for the north of Sardinia. They are characterized by partly very bizarre forms and formations from which one can recognize animals and human figures with some imagination. The island’s coastline has a total length of about 1,850 kilometers. About half of them are fine, almost white sandy beaches. The transitions to the sea are usually flat on the east coast, so that in summer the Caribbean colors. invite the inhabitants and their summer guests for a swim. The landscapes behind the coastline are characterized by lush, almost evergreen vegetation. Vineyards, olive groves and plantations with cork oaks are typical of these areas. With around 300 days of sunshine a year and almost always blue skies, the colours and temperatures have a special attraction for visitors from all over the world. Nature is omnipresent in Sardinia. 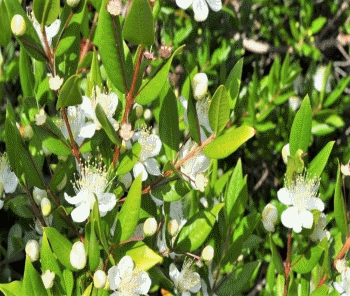 In addition to rich green tones, the flora also offers colorful spectra of flowers and blossoms. Palms and olive trees characterize the landscape, as do cultures of cork oaks and vineyards. Lemons, oranges and other tropical fruits also thrive in the mild climate of the island. 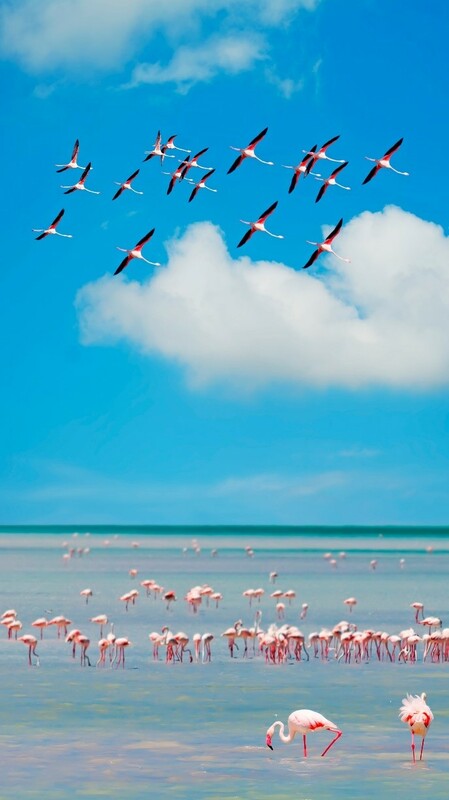 The fauna is even more amazing: who would expect large flamingo colonies on a Mediterranean island. The wild boar population grows despite constant hunts. On the other hand, wild cats and turtles, which also belong to the primordial fauna, can be seen much less often. Sandy beaches are typical for the Sardinian coastline. 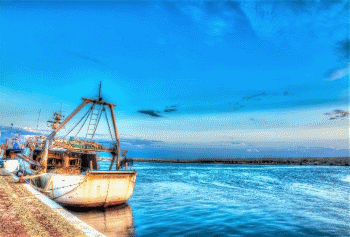 The sea and rivers offer fishermen and animal lovers a rich aquatic fauna. 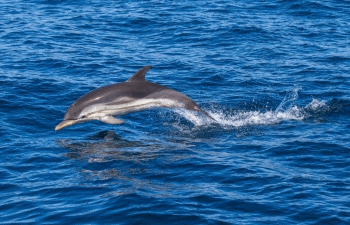 Dolphins reach the harbor walls and tuna is also a common species of fish close to the coast. People in Sardinia 6.8 years longer than average western European people. 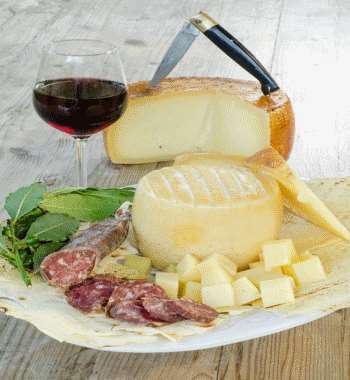 According to scientific research (Calgary University) nutrition with Peccorino cheese,olive oil and wine are the reason for the healthy live. 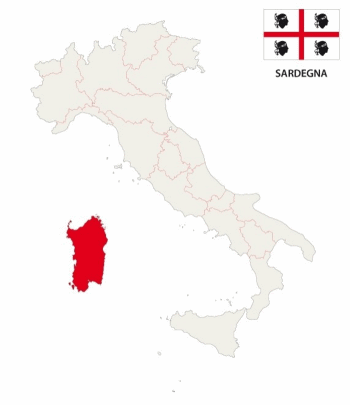 Today about 1.6 million people live in Sardinia. The indigenous people were farmers and shepherds, nowadays many Sardinians live from the sea and tourist services. In this context, it should be emphasized that Sardinia belongs to the so-called “blue zones”. These areas, mostly islands, are home to most elderly people over 100 years of age. The well-known “Times” journalist Dan Buettner has thoroughly researched and reported on the “Blue Zones”. According to his findings, in addition to genetic preconditions, the living conditions in Sardinia are particularly responsible for health and slowed aging. 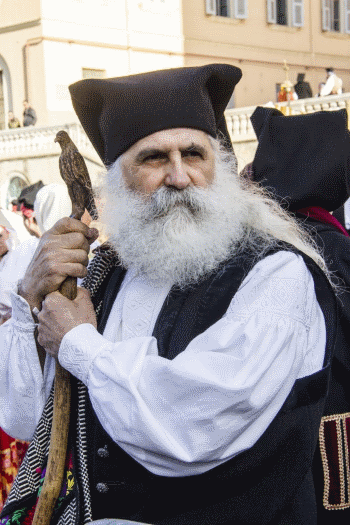 In Sardinia, for example, there are practically no old people’s homes or similar facilities, as people are getting old in their families and continue to pursue their professions as farmers, shepherds and craftsmen into old age. In addition to these factors, nutrition is also different from most Western cultures. Not only on the coasts, but also inland, they eat a lot of fish and other sea food. Beef and lamb complete the menu. Pasta (noodles and rice dishes) are among the standards of Sardinian cuisine, as in the whole of Italy. Lunch and dinner are celebrated in Sardinia. It often starts with Cheese and salsiccia, a special sausage. Peccorino, the internationally known sheep’s cheese, is very varied and probably a basis for a healthy life on the island. Olive oil is the core of Sardinian food. 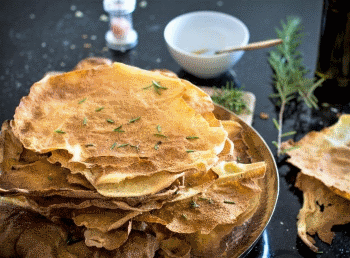 It always starts with the special, wafer-thin bread, Pane Carasau, which is refined with olive oil at the table. The special Sardinian pasta and main dishes are also prepared with the local olive oil. The dessert is characterized by local products. Honey, almonds and figs are combined to create different desserts. There is hardly any meal with Sardinians without wine. In summer, the light white Vermentino wines are mainly drunk, while in autumn and winter the typical red Cannonau wine is preferred. 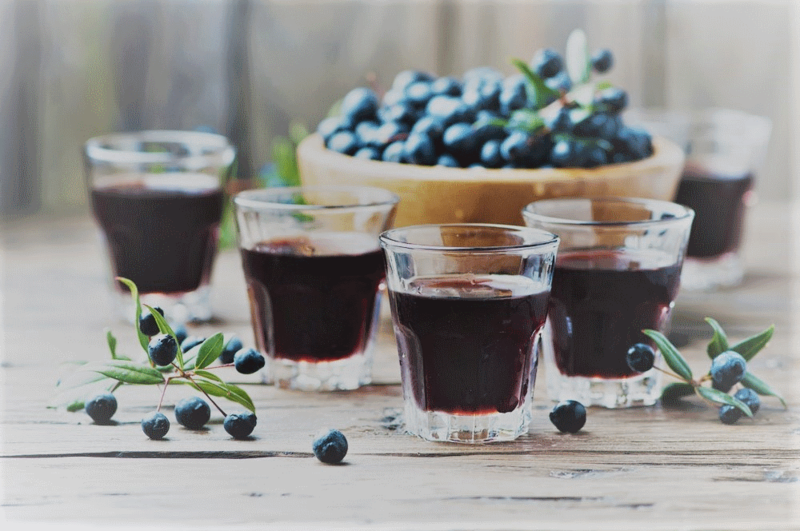 After the meal there is a “Mirto”, herbal liquor made from the myrtle fruit. The alternative is a “Filu Ferru”, the Sardinian counterpart to the grappa. documented as an essential criterion for a long and healthy life on the island (see reports on “Blue Zones” by Dan Buettner, TIMES). Cities and villages in sardinia are very colorful. The scheme of colours is perfectly harmonized with the colors of the water and the sky.